With their new album The Parallax II: Future Sequence debuting this week at #22 on the Billboard Charts, it’s no surprise to also learn that shows are already selling out for the upcoming November Australian tour. 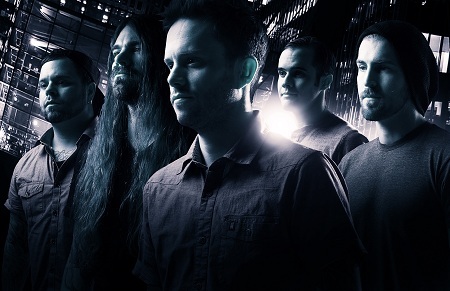 For over 10 years and across seven studio albums, Between The Buried and Me have sold in excess of 400,000 records and well and truly pushed the boundaries of heavy music to the extreme. In November, the band will hit up five capital cities with US instrumental metal act Animals As Leaders as support, a pairing of prodigious proportions. I mean seriously, if you are into heavy music and want to see the ultimate in musicianship, you’ve got your tickets already, haven’t you? Currently out on tour in Europe with Periphery and in between changing bass strings, Dan Briggs chats to us about the new album and upcoming Aussie tour! Hey Guys, thanks for chatting to May The Rock Be With You! So congratulations on the release of ‘The Parallax II: Future Sequence’ which should now be out worldwide. Musically, how would you compare the album to what you have delivered with your past few? It’s easily our best record, we all feel that way. Our sessions were super inspired and we just really had this great feeling that we were doing something bigger than just another record. Being able to write with the story in mind, and being able to do something that was meant to be theatrical was super fun. I always love to find out the meaning behind the choice of an album title and in your case we are talking a sequence/concept of two releases. So ‘The Parallax’, for the uninitiated, what does that represent conceptually? Parallax is a reference to two objects that are displaced, this meaning the two characters who are represented as being displaced throughout different galaxies. Its kind of sci-fi, but really the core of the story is something more that people can really relate to. How did the songwriting and recording take place for the new album, was this something significantly different to the approach you have taken in the past? There were a few small differences here and there, generally we have the same routine of writing separately at home and doing some small arranging and then really putting the pieces together when we are all in the same room together. A few songs were composed by only one person, which was something pretty different. Tommy wrote “Black Box”, which is a song I’m really excited to do live. “Goodbye to Everything”, “Astral Body”, and “Bloom”. Autumn – is just a noise track representing travelling through the nothingness of space. It’s mainly keyboards, but we also added a few tracks of Bass Clarinet, Sax, and Tuba all pitch shifted and fucked up sounding and just taking the direct signal. 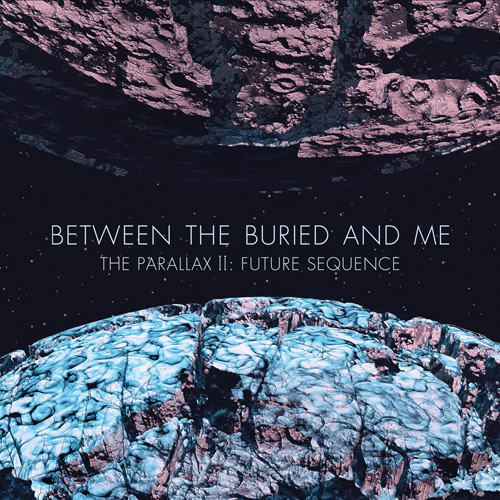 Parallax – is a short segue track that is the chord progression from the chorus of “Specular Reflection’” from the EP, and is also the progression in “Black Box”. Our friend Amos Williams does the spoken word on the track, which is about the characters meeting each other and realizing they’re the same soul. Telos – is a track we wrote mid way through the session and came together real quickly. I love playing the first half of the song live so much and always get bummed when the melodic section ends haha. But it’s a fun song. When you think back to the recording sessions for the album, what are some of the thoughts/memories that most immediately come to mind? Playing baseball in the backyard excessively everyday and cooking out! That’s what recording is all about to us now, spring time, beautiful weather, and fun in the sun. Oh, and I guess we recorded a bit of music too! You have recorded a “performance demonstration” video clip for ‘Telos’, how have you found the fans response to the band sharing that level of insight into your music/songs? I’m not real sure to tell you the truth. I don’t keep up with the Internet stuff, but I assume people like to see that sort of thing. People always come up and talk to us about our DVD that we made in 2008, so I know they enjoy watching a performance video. I love buying music DVDs myself, if you see my collection it’s like ¼ movies and 3/4s music DVDs haha. As far as touring, you’ve got a bunch of Australian dates coming up – how many new tracks are you planning on working into the setlist and where are you at as far as deciding a setlist these days with what, 7 albums of material to choose from? We’ll be playing the same set as we are in Europe right now because it’s all one big trip. We’re rotating 3 different songs on this tour, 2 at any given night. It’s been fun, the songs feel totally comfortable right now too which is great. It took a few nights but once you get a couple under your belt you can pretty much play anything with comfort. You last toured Australia in 2010 – what are your memories of that last tour and how did you find Aussie audiences? The audiences were amazing, the weather was great, the food was lovely, and the flights every day were hellish, much like they will probably be this time as well haha. We were spoiled the first time we went to Australia, we got to do 3 weeks by van and got to see so much of the country and had tons of time to hangout and see the sights. That’s not a normal Australia tour though, you’re in and out in 5 days, flying every day, renting new gear every day, trying to figure out how much merch to have at each show. I wish it were more relaxed because we love coming, not that it’d ever stop us. The shows are going to be a blast. How diverse have you found your audience base to be as you travel around the world – do you feel you have built up an awareness of who a “typical” BTBAM fan is? It’s constantly evolving which is pretty cool. We’ve always had a diverse crowd, and I think the majority of our fans now are generally fans of progressive forward thinking music instead of just metal fans. It’s great to have fans that are in line with where your band is. You are bringing Animals As Leaders with you this time to Australia, what can you tell us about your association with, and what we can Australian audiences expect from this instrumental trio? Well, we took them on their first ever tour in 2009 in the states. We took them on their first Euro tour last year, and this year we’re bringing them to Australia and Japan for their first ever tours there. We just love the band, love the music, and we’ve been friends with the dudes since before they were even Animals As Leaders. We made a pact to go all over the world and we’re getting pretty close now! For the decade that BTBAM has existed, in what ways do you feel “music” has changed around you during that time? For better or for worse that might be! I think people are more excited than ever about experimental innovative music, and we’ve been super thankful about it because it’s like our fans have evolved along with us. We’re just going to keep writing the music that makes us most excited and hopefully people will be into it. If not, at least we’re excited about it. Friday 16 November – The Corner Hotel, Melbourne (18+) SOLD OUT!